At the end of this month, we will have reached the 6 month mark. I anticipated this milestone because in many of the books and resources I read pre-adoption, it was advised to not make any hard-and-fast judgments about your newly-adopted child for at least 6 months. This makes sense for medical conditions, physical development and abilities- some things take a while to really show themselves, and to find what treatment is best- but as far as emotional capacity and personality- I have thrown that idea out the window. It’s going to be much longer than 6 months. I am certain the honeymoon stage is over- this summer was a wild ride and we were all just there for the party, haha! We traveled a LOT (family camp, New Mexico, a cruise to Mexico), and I’m really glad we did. Many families choose to cocoon (stay home in a stable and familiar environment) once a child is brought home, and we have definitely soaked up our time at home. 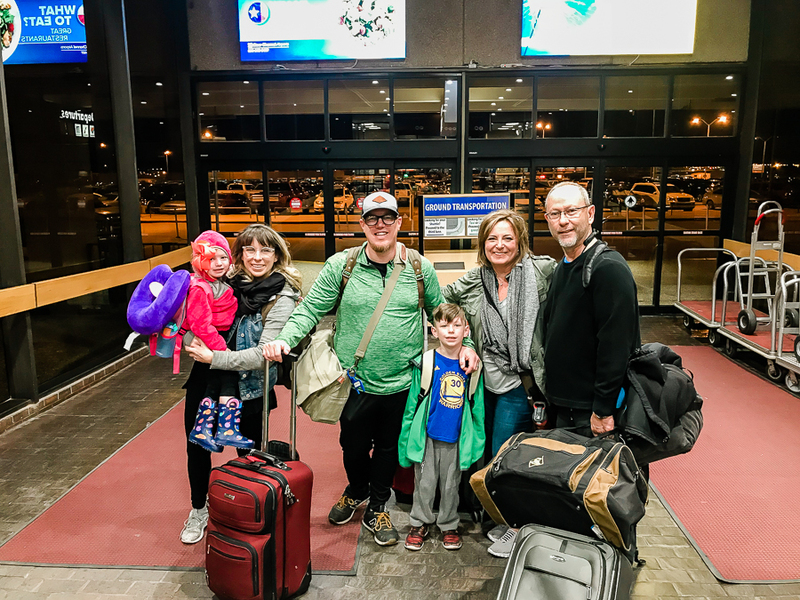 But the travel and change of scenery IS our family- and seeing Lucy soak it all in and live it to the full was just another reminder that God knew she would find a home with us. So as we’ve been home more often and settled into a new routine, it’s been interesting to see how we’ve all adjusted. In many ways it has been great to get to establish “home” and routine. It’s also brought out a lot of what hangs out underneath the surface- trauma. More on this in a bit. Lucy is definitely growing- she already looks quite different to me than she did when we first met her. She has only gained two pounds since being home, but has remained very healthy with the exception of some allergies/runny nose. We started gymnastics last month and she is doing amazing. We are all impressed with her balance and ability to execute what she is asked to do. It is a mommy-and-me (although daddy may have done it more than I have!) class, so I think it has been great bonding time as well. Surprisingly, Lucy is now potty-trained! This is not something we expected, but we are thrilled about! I am pretty sure this is partially thanks to her foster mother in China who had already been working with her, and her PDO teacher who is amazing. Lucy was just ready about a month ago, and it helps that Liv is just a year older and she has been able to watch her. You guys, our Lucy is sweet. Since we first met her, we could see that she is a compassionate soul. She deeply cares for others and is quick to comfort another and apologize. She gets her feelings hurt easily (remember, 2 year old here! ), but is quickly comforted and back to playing. She is quick to smile and her laugh is the BEST. I am so thankful for that smile. It has reassured me many times when I have felt like I’m not connecting with her. Speaking of- let’s talk about attachment really quick. Attachment is a a term used to describe a child’s level of bonding or close relationship with a parent. With kids adopted from China, it is not uncommon that they first attach to the father, which is what happened with Lucy. She was immediately more comfortable with (and comforted by) Shawn. She would run to me when she was upset, but there have been many moments where she preferred him. This was tough because at first Shawn felt like I was being overly-sensitive about it (something I have definitely been guilty of), but he has come to see what I am talking about, which has made us on the same team. It is so much easier to parent when you are on the same team as your spouse! As far as she is concerned, we just want her to feel comfort! So any attachment in our eyes is wonderful. As far as I, as her mother, am concerned, this is HARD. Mentally, I understood that it wasn’t about me, but emotionally, I was dealing with all the negative marks on my ability as a mother. And to add to that, it was like her baggage had finally arrived at our home, and mine was stacked up right behind hers. This bonding process has forced me to look into some of my own trauma (yes, apparently I have some! ), wrong thinking, and heart-issues- it has been awful to confront at times BUT I am so thankful to have come out the other side with more FREEDOM than ever to really trust God, as a person and a parent. I will write more on this later, because I think it is something all parents (and people) deal with- not just ones with adopted kiddos. So- attachment is happening- which we are super thankful for. Some days we can really see it, some days we wonder where she went. And this is due to one thing: trauma. Many people who have reached out to us regarding adoption (which we LOVE to talk with anyone about- we are not experts but we love adoption)- have a similar question: what is her trauma like? Sometimes it is asked in a way that assumes there will be less trauma based on her young age at the time of her adoption. I am pretty sure this is at the core of what most people mean when they say, “so how is she adjusting?”. The truth is any adopted child will have experienced trauma. In the womb, shortly after being born, in experiencing the loss of biological parents, dealing with complex medical issues or basic needs that aren’t being met- all of these things result in trauma. It’s just part of the reality- adoption begins in brokenness. Trauma for our house right now looks like a general distrust in caregivers (us as parents). Lucy frequently asks for food, needs to be told where she is going and that she will come home WITH US, some grappling for control over toys or shoes, and the hardest one for me to see- complete emotional withdrawal. Lucy is an internalizer, so when she chooses to cry, we are thankful and sad at the same time. What I have learned is that so much of it is out of my control. The trauma she has experienced is not my fault, and it’s not her fault. It doesn’t even help to place blame, really- it’s just there and must be recognized for what it is. I am comforted by the fact that time will help, and she is going to forever be in our family. I am also comforted by the fact that we serve the Ultimate Healer. God sees all our broken parts (ones we don’t even know we have), and He delights in drawing close to those hard places. We will get through this with Jesus. It helps so much to give trauma a name. It rends it powerless because we know the One who IS power. This is something Lucy will deal with all her life, because it is part of her story (and all of ours now), and my hope is that we are able to give her a great foundation in recognizing trauma, giving it a name, and proclaiming victory in Jesus over it. I’m so proud of our girl in this arena. Though we have some really tough days, watching her trust has taught me so much. She has little reason to trust us- we’ve only been in her life 6 months- and yet she does. What a miracle! Haha- I mentioned this before, but Lucy LOVES food. Some of that is rooted in her past life- the need to know food is always available and she can have as much as she wants has been important. We turned around after dinner last night and she had pulled a huge container of raisins out of the pantry and was finishing it off at the dinner table! It feels good to see her eat and be full. That doesn’t mean we don’t have to bribe her like any other 2 year old, though. She feeds herself 90% of the time and loves noodles, rice, bread- all the carbs! Spaghetti is always a hit. Our family is at Chick-Fil-A at least once a week as well and it is a fave. She is generally willing to try everything we sit in front of her. Again, so thankful for this. I know many adoptive kids have food-related issues. Lucy is quite friendly and plays well with other kids, although she likes to keep her distance and get a feel for the environment. She started going to Parents’ Day Out two days a week at the beginning of September and has done really well. Lucy is doing amazingly well. She understands most everything we say to her and is repeating everything…all the time! If you are a parent, you know I say this with a little weariness, haha. But- we are so impressed with her and clearly have a very smart girl. Her love of music has been very helpful in teaching her new words, and she can even put together a few short sentences. We have not changed the way we speak to her at all, and she has not seemed to have any trouble with it. This, for me, has been the hardest. Lucy actually sleeps great. It’s the getting there that has been tough. I have felt the need to rock her to sleep so that we could bond- I rocked both Liv and Knox- and Lucy prefers to just be laid down so she can put herself to sleep (the traditional way in China, and the way she’s always known). This has been a struggle as my desire to rock her has met her rejection and it’s hard at the end of the day to not take that too personally. I also hate knowing she may be just laying there in bed, wide awake, scared and trying to soothe herself to sleep. I want to soothe her. She will let me rock her to sleep at naptime, but in the evenings it is very difficult and I realize she probably has some trauma related to falling asleep (like, for instance, falling asleep at a government office and suddenly being with new people who don’t speak your language- which is exactly what happened the day we received her). So, we have some work to do here. But all in all, she is a great sleeper when she is asleep! Super thankful to Lauren Clark Photography for all of these images we will treasure. She shot this lifestyle session for us and I was amazed at the images she was able to get with all the crazy we handed her. We've been home from China a little over a month and it's time I do an update on our Lucy Fei. All in all, she is doing excellent. I have consistently been surprised at how well the transition has gone. The little girl we received on April 16, 2018 is so different the little girl who lives in our home today. Her eyes are brighter. Her smile is more authentic. She is beginning to really show us her sweet and silly self. That's not to say there haven't been many rough spots. 1) I want others in the adoption process to get a real-life picture of what one family's experience looks like. It comforted me so much to read others' accounts before Lucy came home. 2) I want others who may be interested in adoption to find some answers- possibly to questions they didn't even know they had. There is nothing special or extra brave about our family. God called us to care for orphans and this is just simply how we have responded. 3) Please, please don't miss the God-story in this. Without Him, this would be a very different story. He is THE reason we have/had hope- the reason our girl is home with us now- the reason we are functioning as a family! 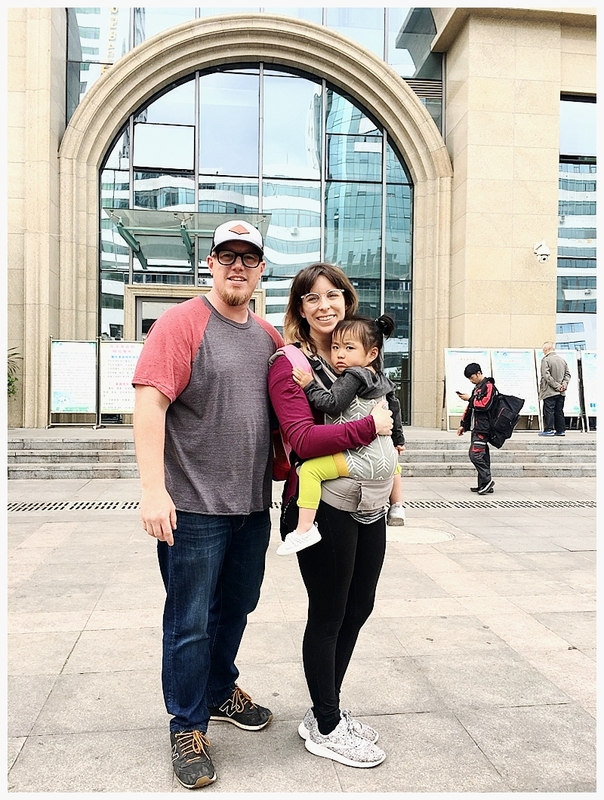 If you've been following along for a while, you know that we adopted Lucy through China's special needs (sometimes called "waiting children") program. More on that here. So, we knew that Lucy would have some type of special need (one that we had pre-determined we were ok to consider) when we first viewed her file. We had a 72 hour review period to consult doctors and then make a decision on whether or not to pursue adopting Lucy. We consulted with 3 doctors- two who are international adoption specialists and review files like this all the time, and our pediatrician, who was also familiar with the process and had reviewed children's files for adoption as well. Their opinions were extremely insightful and helpful. Each one went over every detail of her file, which included documentation of hospital visits, blood work, and a statement on her finding place. Our Lucy was born prematurely and was diagnosed with two forms of Congenital Heart Disease- PFO and PDA. Beyond that, she seemed to have been a very sick baby- there were many hospital visits listed during her first year of life. Of course we googled her heart defects, and it seemed (from our uneducated perspective) that they weren't a huge deal- the internet (where everything is true, haha) even said that both of these types of defects can heal themselves. We did have one problem- we had no updated photos of her- just one mug shot style photo of her head at 1 year old. So there was no way to tell how she was developing with her heart defects. We requested updated photos from her foster family but our agency told us that we may not get any photos before we needed to make a decision because of the city Lucy was in (updates apparently did not come quickly from there). So we waited and prayed. Miraculously, we received updated photos and videos the very next day- and they showed us a beautiful, smiling, running, walking, playing little girl. It was amazing! After sending the new photos and videos to our doctors, each speculated that Lucy's heart conditions had already healed themselves. So, we felt much more confident and chose to pursue her. I have not shared about Lucy's heart condition until now, because we wanted to have her looked at here at home first. In many cases, there are additional, non-documented issues that a child may have, and we were prepared for that. 2 weeks after arriving home, we took her to the doctor where she had a thorough well-check. You guys, there was NO HEART MURMUR. Our pediatrician said that there was absolutely no indication that she has any heart issues at all at this point. Of course, we are going to keep monitoring her- I am fully aware of all the signs of cardiac distress and I'm sure it will always linger in the back of my mind- BUT all we know is that God did a miracle- again! Praise the Lord! I can't finish this portion without saying, though, that even if she hadn't received a clean bill of health, it would have been ok. Seeing her now, in our home, as part of our family...we would do whatever it took for her. And we will! This is the number one question we are asked about- so much that it makes me laugh a bit. My sarcastic self wants to respond, "well, is your 2 year old quoting Shakespeare?!" Ours sure isn't. She IS, however, speaking really, really well. We have been told by several speech paths that this is the perfect age to learn a new language. I would say she understands about 90% of what we are saying. We don't speak to her any differently than we do our other children, and having them around has really helped her put together what is going on. There is a lot of monkey-see, monkey-do at our house right now. We do also use the few Chinese words we know, and turn on Elmo in Mandarin from time to time. Knox and Liv love watching it too. She loves to sing, and so it has been fun to hear her pick up songs/words in English. The "L" sound is unheard of in Chinese and of course every female in our house, including the dog, has an L name (no, I didn't do it on purpose!). But, she's even started forming that sound in the past week or so. This video isn't great (there is something going on with the microphone on my phone so the sound is awful! ), but you can see that she can really say a lot! This has been one of the toughest battles we have faced- but even still, we've seen so much progress- it's no longer a huge deal. On the surface, Lucy sleeps great. She has never been super cuddly- which is fine. Chinese culture is not one of tons of physical affection. We have also been careful to leave her her own personal space, so that she doesn't feel violated or overwhelmed. And we were, at first, on high alert for any sensory issues she might have. When we received Lucy, she did not want to cuddle, be held or rocked before bed. Her foster mother told us to just lay her down, and she would go to sleep- which is exactly what happened. Lucy had several "ticks" she uses to put herself to sleep- rubbing her blanket on her palms or chin, for example. While we were in China, this was fine- but when we came home, my heart began to break over it. We had figured that Lucy would co-sleep with us for a while just to promote bonding and attachment- but she wanted nothing of that- and we really didn't either, as she turned out to be a wild sleeper. I noticed her "ticks" were getting more extreme in her new home- and she was fighting to stay awake longer and longer at bedtime. So one night, I just knew that this was going to need to change. I knew in my gut that this was our biggest opportunity to bond. She had really attached to Shawn (attaching to the father first is very common and great, but can be really tough for adoptive moms like me! ), and I just felt like I needed to help her fight this battle. I realized that her "ticks" (flinging her arms and legs, tossing and turning, rubbing her chin and hands) were not really helping her go to sleep, but helping her stay awake. I observed her fling her foot over the side of her bed, hitting the metal bed frame and actually hurt herself. There was no reaction- she stayed silent and just rubbed it. My heart broke again. This habit was not ok. We don't hurt ourselves to feel better, or to cope. So, I started rocking with her before bed. She hated it at first. We spent a good two hours rocking pre-bedtime for at least a week. It felt so backwards. With Knox or Liv I would have been so excited to lay them down and have them go to sleep on their own. But Lucy needed to trust me enough to fall asleep safely. At this point, rocking before bed is something she is happy about. It still takes a good hour most nights. But I love my alone time with her, and she will sing with me to our sleep playlist, which has been a huge blessing. At some point every night, her fight-or-flight kicks in and she fights to stay awake. I have seen her be asleep for a good few minutes and her body literally jolt itself awake. Because of some research I did pre-adoption (the Whole Brain Child is awesome for any parent, adoptive or not!) I know that this is just her brain kicking in to fight, and that it will just take time to re-train her brain. It's been a battle for me to not take it too personally. I can't let myself believe that this is about me. She's been through more than I know and it's because of the fight in her that she is doing as well as she is today. So we do a lot of rocking and praying, and crying. I spent a lot of nights in that rocker with Liv, praying for our other daughter across the world- so God's done a lot of work in that rocking chair, and it's not hard to remember His faithfulness while sitting in it. Daily, Shawn and I shake our heads in amazement at how well Lucy has fit in. God has clearly placed her in our family- in His good, pleasing, and perfect will. We are so thankful. Before we were even matched with Lucy, we received the advice to not make any judgements about your child until they have been home at least 6 months. This has been such a wise and relieving piece of advice- because it has allowed us to just relax and be accepting of her in the moment. I forget constantly that every day, she is experiencing all-new firsts. We can see her get a little burst of joy every time we return to our home after an outing. She is so glad to be back, and she is clearly comfortable in her home now. She is still getting used to dirt, grass, being wet, etc. Her big sister LOVES to get dirty so as Lucy follows along it has been funny to watch her look questioningly at Liv as if to say, "you're doing this on purpose?!". Lucy is brave and will pretty much attempt whatever her big brother or sister are doing, which keeps us on our toes. This also means that she has acquired quite a few bumps and bruises- but it's all in the name of fun. On of my favorite memories of Lucy will always be carrying her on the street in China while we ate sweet steam buns together- this girl loves her carbs, just like her mama! She has eaten pretty much non-stop since we have been home. I've attempted some Chinese dishes that she devoured- but then again, she has devoured almost everything we've put in front of her. In China, she was still taking a bottle, which is normal for her age in that culture- but she didn't seem too attached to that practice, and so we were able to stop once we found she could feed herself and drink from a sippy. We have had to help her slow down a bit while eating- but all in all, this has not been a point of struggle for us. I've been writing another blog post in my head entitled, "Things International Travel Taught Me About My Children" because ya'll- I had insights on them I never would have had we not taken them with us- but until then, I have to say that Knox and Liv have been great. Knox seems to only dealt with a slightly heightened level of "annoying little sister"- which he has handled pretty well, except for a few outbursts. Once we got home we realized it was important to make sure we were giving him time to communicate to us, and that we were checking in with him as much as we could. Being older (he's 7), it's been really easy to push him to the side while we take care of the screaming 2 and 3 year olds. So we've both had individual outings with Knox, which we plan do continue. It's good for us, too! Liv has had a harder transition, for sure- which we expected, going from the only girl and baby to the middle girl with a sister. She's also 3, which I would argue is harder than 2. Most of the time, she is either playing the Mommy role (taking care of Lucy) or being the baby (having ALLLL the needs). She has been a really great helper, but has thrown her share of fits. However, I have been so thankful for the way she and Knox have welcomed Lucy. They have never questioned her belonging. The only issues we have observed are all things that we'd encounter with any new sibling. They love showing her off to people, which is a little funny and awkward at times. This is ok because Lucy is generally outgoing and friendly. We can already see special relationships building between them all and it blesses our hearts. These little people will be our biggest accomplishment and greatest work. Shawn and I have had our good days and our bad days in the past month. 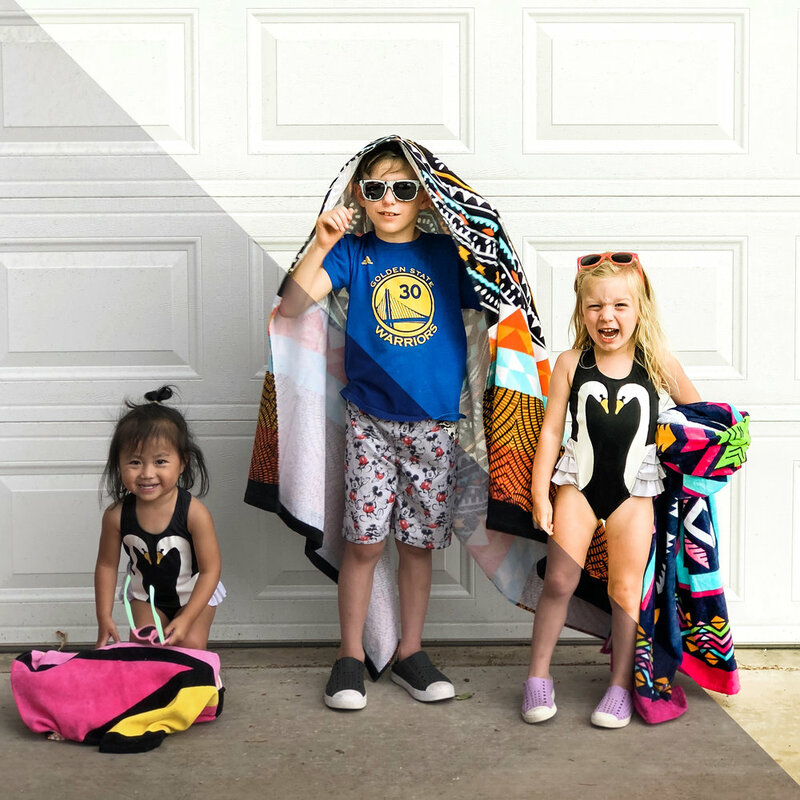 On our good days, this family-of-5 thing feels totally natural and we love watching our kids just be kids. On our bad days, we are tired of the constant needs to be met, work to be done, and wonder if we will ever have our own personal ambitions (outside of our kids) again. I think that's normal. I can't say that anything we've experienced is any different from adding a biological child- except we are always considering whether or not what we are dealing with (with Lucy) is adoption/trauma related, or just a 2 year old being a 2 year old. This turned out to be a little long- so if you made it this far, thanks so much for loving on our family! We know that so much of the beautiful parts of this process have been a direct result of God's great love for us and the prayers of our tribe. Thank you, from the bottom of our hearts! if I'm honest...I'm totally afraid. I'm going to apologize in advance for the amount of detail in this post- I'm writing it for me, one month ago. At that time I was a frantic, excited and stressed out mama trying to pack her entire household for a trip across the world. This included packing for a child I knew only a little about and had yet to meet. Cue the list-making, and googling, and random trips to Target for that one thing I forgot. If you are an adoptive mama about to make that trip, bless you! I hope this is helpful. I realize everyone has their own preferences, but here's how we packed our bags. Travelers were myself, my husband, our 7 year old son, 3 year old daughter and we brought home our 2 year old daughter. My parents also came with us, but I'm only covering our family of 5 in this list. You'll want to check your baggage allowances before you start packing. We were able to book humanitarian tickets through American Airlines (thanks to Adoption Airfare) which allowed us all up to a 50 lb. bag. The problem with that is that our domestic flights had much tighter restrictions on weight (35 lb. per bag) and only 1 carry-on. So, we needed to pack for the domestic flights, not the international. If you're headed to China, be prepared to find conflicting or no information at all about the baggage allowances on domestic flights (I'm sorry!). There are also different requirements about where liquids and electronics go (checked bags vs. carry-ons- it was different every time!). The guides our agency provided were extremely helpful with this and there was definitely some packing/un-packing we had to do at check in, but we all got on the plane in the end. All of our luggage bags had expandable zippers which were super important because we really packed the small ones down! They worked like a charm, and I found that I really prefer the hard-side bags to the fabric ones. Our backpacks were our carry-ons and all had a little something different in them. I debated on bringing a stroller, but ultimately it was SO helpful- especially in the airport and on a few sightseeing days. We needed it most for our 3 year old (we carried our new daughter in a carrier most of the time). 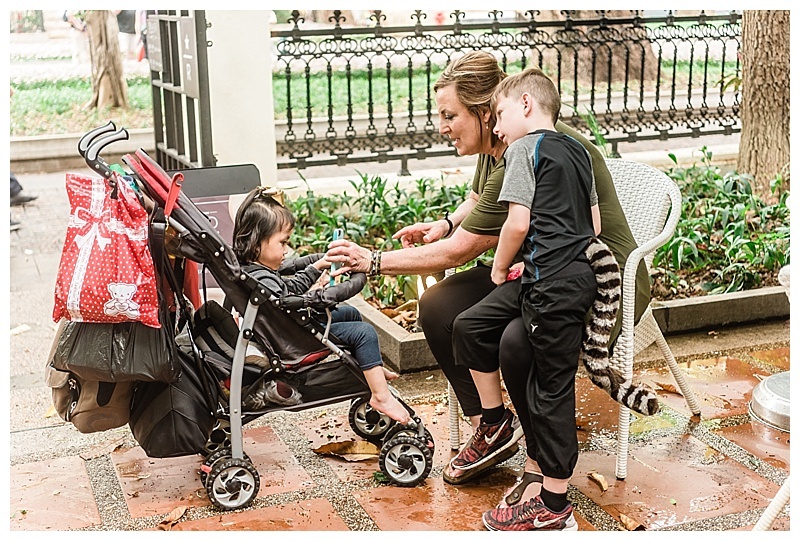 I would recommend buying one there if you are not bringing other children with you, and I also would not take a stroller that is too precious to you. There were a few moments we weren't sure if we'd see it at baggage claim, and in those moments I was really glad we'd brought our old umbrella stroller. Not technically baggage, but carriers. :) We borrowed my sister's Tula and so we had two- one for each girl. 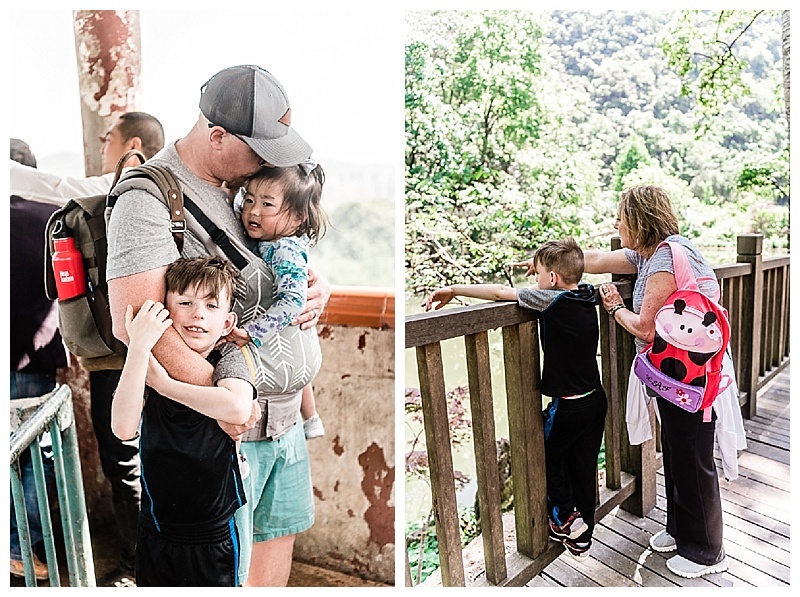 These were so great- especially on the days when the stroller wasn't appropriate (hiking the Great Wall, for example) and we were SO glad we'd brought them. We love our Tula- very comfortable and fit our 2 and 3 year old well. I bought these on a whim and they were so useful for us. I had seen a lot of recommendations for packing cubes, but they were more expensive than these bags and the compression aspect of the ones we used was great for diapers and clothing. Shawn and I wore these money belts from the time we took off in Lubbock to the time we landed back home (well, I guess we took them off while showering and sleeping, but you get it). They were fine, necessary, but annoying. My dad had a neck wallet- something I didn't even know existed- and I will definitely be purchasing one for our next overseas excursion because it seemed way more comfortable. This might be an obvious, but I wanted to pass along a few tips. Make sure that every piece of luggage you bring (including carry-ons) has a luggage tag on it. We like to fill out the address with our home address and then put another card with our name and our hotel's address ON TOP OF IT for the flight over. We do this on trips longer than a few days, when there would be enough time for our bags to still arrive at our destination should they be lost or not on the correct flight. Once we receive them at our destination, we take the top tags off, so that our luggage now reads our home address. Another thing to consider is your personal safety. We are very careful about what we put on our tags, since anyone can see that information. We only use 1 name, address, phone or email for all of our bags, and on the kids' backpacks, we even flipped the information over and wrote "over for info" on the card- just to ensure that wandering eyes couldn't associate our children with any address or name. We were also careful to make sure that the bags they were carrying did not have their names displayed on them (the girls' backpacks do have a monogram)- this is just a safety measure to prevent strangers from knowing their names. I also did my best to make sure that every piece of clothing could be worn together. Helped me feel a bit less monotonous and Shawn dress the kids. I brought several matching outfits for the girls which also helped with dressing. • 7 shirts (4 short sleeve/3 long sleeve)- I recommend bringing quick-dry materials. It was humid and rains off and on, so you need all the help you can get for your clothing to dry out. Knox and Shawn wore shorts every day, while the girls and I wore pants or leggings. It was hot and humid- so I could have gotten away with shorts or a dress- I just prefer jeans. I was happy that I hadn't brought my "nice" tennis shoes so that I wasn't worried about how dirty they were getting! We walked at least a mile every day (not kidding)- so having tennis shoes was essential. These sandals are cheaper versions of the Sanuk brand. I bought the Sanuks several years ago and they broke in a few months. These have actually lasted several years! Also- you might get some looks from people in China about your sandals if you choose to wear them. Chinese people just don't really wear sandals and we were questioned a couple of times if we really wanted to wear ours or not that day :). Estimating Lucy's sizes was tough and the shoes I brought her were a total miss- wayyyy too big. Thankfully, they didn't take up much space and we were able to find her a couple of pairs while we were there (there was an H&M in the mall in her city). Some pools in China require you to wear swim caps, so I bought these and packed them unopened just in case. We only swam in Guangzhou, and didn't need swim caps there, so I returned them once we got home. I am in love with this scarf and it was so great on the plane because it doubled as a blanket or pillow. I didn't wear it in-country though- it was too hot! You can buy diapers in China (they took us to Walmart immediately after meeting Lucy so we could buy the baby things we needed), but they were just as expensive in China and the compression bags we used really worked well to make them take up less space in the luggage- so I was glad we'd packed them. I estimated 3 a day and we still came home with some. • Wipes- we brought 4 or 5 packages of the sensitive (or unscented) kind in case Lucy had any reactions to fragrance. We used these for way more than just diaper changes! We used Dr. Chambers at Children's of Alabama International Adoption Clinic to review our files when we received Lucy's referral. A week or so before our trip, she called in a few prescriptions to take with us for commonly seen issues in Chinese adoptees. There were a few creams and an antibiotic, which we ended up giving to Knox when he got sick on Gotcha Day. We also brought our favorite cough syrup, ibuprofen, allergy meds, powdered Pedialyte and Pepto for the kids. Our pharmacist (a.k.a. Uncle Justin, who actually is a pharmacist) recommended this melatonin for the kids- and it was essential for us, especially those first few days getting over jet lag. We gave it to the kids at bedtime for the first few days, and on the long flights when it was time to sleep. Lucy was used to drinking from bottles, but we found out quickly that she could also drink from a straw and bought one at Walmart there. I should have known to bring these, but I forgot! Definitely something I wished I'd had for Lucy. I packed a Kickee pants swaddle blanket in each of their backpacks, and they were perfect for the plane, stroller, and sleeping. They are very lightweight and breathable, but also fold down and aren't very bulky. Lucy still sleeps with hers every night. These are always useful and just in case the clothing we bought her was way too big, I knew these would help. The oils and diffuser are some of our "normals"- we used the oils for various things- upset tummies, headaches, general mood lifters and sleep. It was nice to keep the diffuser running in our hotel room so it smelled nice and was relaxing. • Travel size containers of all shampoos, body wash, hair products, etc. If there was a travel size of something, I brought it! This was super helpful with space-saving. Dry shampoo was a MUST for me and this is my favorite kind- I found the travel version at Walmart. I wore my tinted moisturizer , my favorite mascara , and chapstick most days. We did need nail scissors for Lucy (I actually use these and am obsessed with them! They took them away from me in Hong Kong because they weren't in my checked luggage and I immediately came home and bought a replacement pair). I also brought my favorite mama self-care eye cream which boosted my jet-lagged self on several days. Small things like this were a great way for me to feel like I was still "me" during two straight weeks of no alone time. • Sunscreen- we didn't pack this but our travel group friends shared. This was definitely needed on some sightseeing days where we were outside most of the day. It is super important that you get converters and not just adapters- as China's voltage is different from the US. We ordered several of these on eBay and they worked great. I've also seen people recommend bringing a power strip, which we definitely could have utilized at times, but we were fine without- even with 2 iPads, a laptop, phones and chargers. We brought two iPads for the kids with pre-downloaded videos (you can do this for free on Netflix) and games. I also wish we would have downloaded some episodes of Elmo in Mandarin from YouTube- Lucy loves those! China blocks many of the websites we needed to keep friends and family updated- specifically any form of social media (besides WeChat), and so to access those, you will need a VPN. We had a friend set us up on all our devices, but it's good to have at least 2 downloaded to your phone/laptop/iPads BEFORE you leave. When the one our friend set us up (a private one) didn't work, we used Betternet and it was great. Just download it from the app store. This was something we'd decided we didn't need, until our international adoption doctor recommended it. She said, "what happens if you get stuck at a hospital somewhere and don't have any way to reach anyone? "- and that sealed the deal for me. We just called our provider and got a temporary international plan for one of our phones. We did actually end up using it a few times for calls or directions, so I'm glad we had it. As I said earlier, WeChat is pretty much the only social media in China. They use it for everything- texting, renting a bike and even paying. So go ahead and download it and create a profile. You will use it to talk to your guides and your travel group. I WISH I would have asked Lucy's foster mother to friend me on WeChat so I could have stayed connected with her. One of my biggest regrets for sure. My mom brought a backup battery charger and it came in clutch when one of our phones was about to die. We have a "Sleep Playlist" that we play for our kids every night when putting them to bed on Spotify, and so we downloaded it to our phones before we left. I also downloaded this album- "A Little Mandarin" which has some familiar children's music in Chinese. I wish I had downloaded more just to enjoy while we were hanging out in our hotel room. This app was super handy when we needed to read a menu, read a street sign, or try to communicate with a shop owner. Must download! This was suggested by another adoptive mom who had just been to China and it was genius. We took this one and packed it into our luggage bag. It was super helpful to have when you're in 1 hotel room with 5 people and all their dirty clothes. This was one of my favorite "pamper me" items. I am a caffeine addict- meaning I will literally get a headache if I don't have a cup of coffee in the morning. Sad but true! It's also just a little comfort item. So, I researched the best instant coffee, and put several packets of it, a baggie of palm sugar, and powdered creamer all inside a sandwich-sized ziploc bag with some plastic spoons. My little "survival kit" came in handy several mornings/evenings when I wasn't able to run down to the lobby to get some coffee and was a familiar taste of home. This is just something our family does on every trip. I packed the kids each an empty Contigo water bottle (found them cheapest at SamsClub auctions! They're not always there, so here is another link) that we filled up after we went through security at the airport. You can't drink the water in China, which means we were either buying bottled water or using the complimentary ones at the hotel, and having these water bottles meant we always had something to keep us hydrated. Shawn and I both brought Kleen Kanteen insulated bottles and loved them because we could do coffee or water. The loops on the top of all the bottles we took were handy when we had a lot to carry- it was easy to tie them on to a backpack. Yes, some of this was just for personal comfort, but we also brought a package of Dum-Dums specifically for Lucy on Gotcha Day. I had read that suckers were a great way to say "hello", and that the sucking motion would help soothe her as well. So you better believe I packed those in her backpack! She could have cared less about them on Gotcha Day but they did come in handy several times during our trip. I brought a small travel-sized bottle of dish soap and it was so handy when I needed to wash our water bottles, bibs, or even treat a stain on clothes. I just forgot a small dish brush! So I had to use a washrag most of the time, haha. We've had this concentrated laundry detergent for several years now and it was really handy when I needed to wash a few things before we were able to send our laundry out. Mind you, it was very humid where we were so it literally took DAYS for things to dry in our hotel room. Ya'll, we lived on Clif bars! The food was great in China, but there were a lot of moments where we were in-between meals and everyone was getting hangry. I bought a large pack at Sams and we ate every last one. Knowing my kids were also getting some protein in their systems and not just a ton of sugar was great too- and it kept them full until mealtime. Lucy actually liked these as well- especially the banana ones (she has a thing for bananas!) I also brought some Z bars for the kids since they don't always eat the larger bars. There are many opportunities to go to Walmart or a local grocery store to buy things you might need. 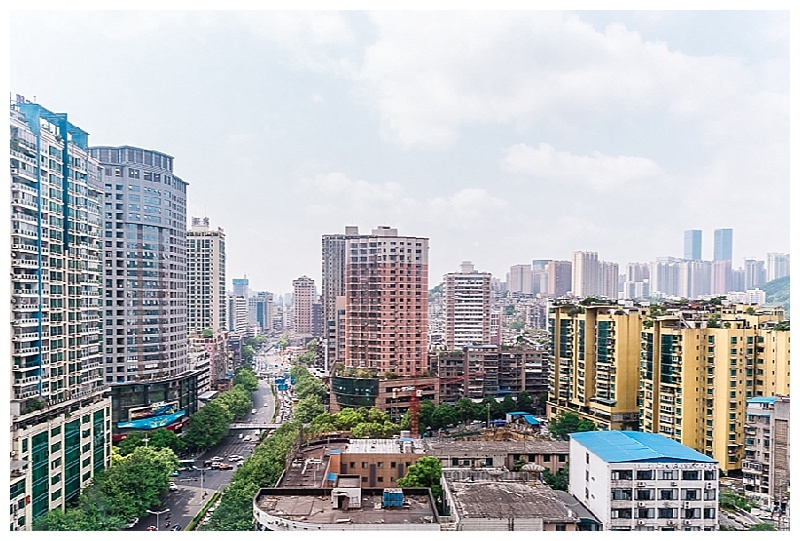 Our guides took us in both Guiyang City and Guangzhou, but we were also able to find them on our own after asking the hotel concierge for directions. Again, you can't drink the water in China (brushing teeth is ok), so you will probably want to get a case of water. Don't overdo it though- every hotel we stayed at would supply us with 3 new bottles every day. 3 kids and 2 adults in 1 hotel room. Spills happen. I wish I would have just had a couple rolls of paper towels! They didn't have a huge selection in China, but we were able to find one with a straw that Lucy could use well once we realized she did not need to be drinking from the bottle we were given by her foster mother. If there had been any indication that she needed to continue to use it for emotional support, we would have been glad to continue using it- but she saw our other kids' water bottles and immediately forgot about the bottle. We bought Lucy drinkable yogurt (which she loves and is super popular there), rice crackers and several other snacks to keep in our room. We actually overbought and had to leave some food there- so I would say don't go overboard. We loved playing with bubbles and they were easy to find and inexpensive in China. I had packed some, but I wished I hadn't and saved that space/weight for something else and then purchased bubbles while we were there. 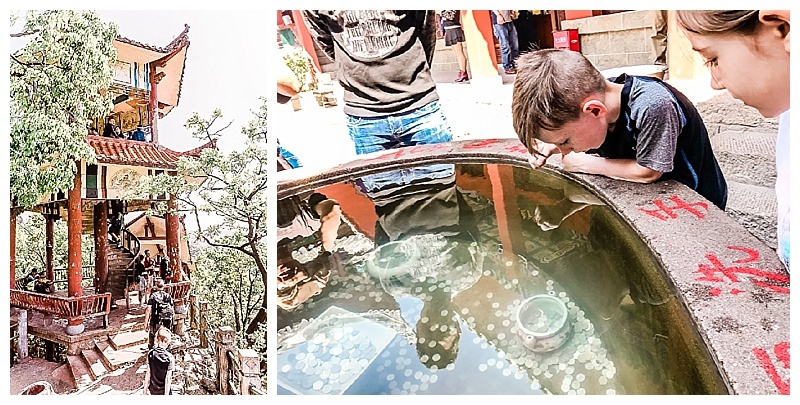 Lastly, I want to share a few random tips if it's your first time visiting China, and a few things we learned while on our adoption trip. We were both amazed and frustrated at how quickly and how long some appointments took. Some were more formal than others- and sometimes we'd need to run to a random office to sign something or get passport photos. Our guides were very trustworthy and knowledgeable, but sometimes it felt a little chaotic, and that's just the result of how things work in China. One exception was our appointment at the U.S. Consulate- which was exactly on time. Most people spoke some English, but there were many times when we needed things to be translated for us. Our guides/translators were super helpful, but it required us to add an extra dose of patience into every conversation. Most people were incredibly patient and helpful with us- but it was frustrating to wonder how well something was being translated, waiting for the translation, and the fact that everything took longer because of that. Our American culture wanted everything to be more efficient, but because we had the privilege of a translator, we had to chill out and be more patient with every conversation. So many people laughed at us because we were always commenting on the heat! Our hotels had air conditioning but one in particular was quite warm. We did request a fan from the lobby and very quickly had a large fan delivered- complete with ice cubes in it to cool us off! So, just so you know- air conditioning is not the norm. If you've made it this far, you've seen me post about Walmart- but there are also several other western familiarities- especially in Guangzhou. Starbucks, McDonald's, Pizza Hut, KFC...lots of familiar things for when you get a craving. However, these restaurants are more expensive AND you'd be missing out on the delicious local food if you just stick with what you know. Before checking out, be sure to check the front desk to see if there have been any fees associated with your room you might not be aware of. In two of our hotels, there were unknown fees and we needed our guide to help us sort them out with the hotel before we checked out. I am assuming this is pretty common, so I'd want to be sure to check while a translator is there to help. If you're just tuning in, here's Part 1 (Beijing), Part 2 (Gotcha Day), & Part 3 (Lucy's city). 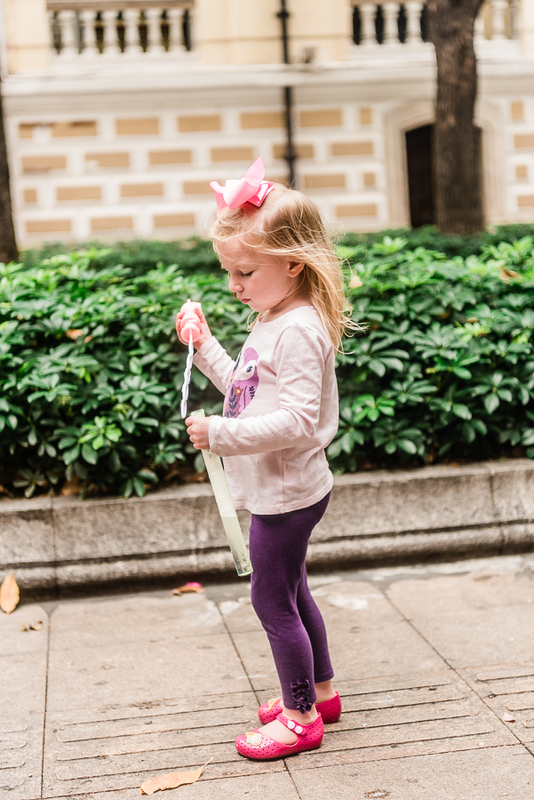 Our last leg of the trip was in Guangzhou, China- which is where every American adoptive family in China ends up before they can leave the country with their new child. Why? Because that is where the U.S. Consulate is, and you have to obtain a visa for your child before you can leave. So, Lucy boarded her very first flight and did great. It was only about a 3 hour flight. Guangzhou is further south than Lucy's city and we'd been told it was a more tropical environment, which honestly made it feel a little bit more like vacation in a way. The vegetation was beautiful and the city itself was very clean. We learned that they are a no-motorbike city, so that cleared up a lot of crazy traffic, pollution, and noise. Instead there were bicycles everywhere, which I enjoyed photographing. They have a popular rent-a-bike system there so you'd see rows and rows of them ready for riders. There were far more Westernized things, too- probably a result of the many international visitors over the years. McDonald's was right next to our hotel and most people spoke English. There was Pizza Hut, Starbucks (in our hotel! ), and 7 Eleven. When we arrived in the evening after our flight from Lucy's city, we were a little travel-worn and hungry. The China Hotel by Marriott has a beautiful, large lobby and as we were checking in we were greeted by an American man (also in line) with a smile that said, "Checking in? We've been here a week and it's great. You must stop by the Muslim noodle shop down the street. It's delicious!" Hearing his American English and reassuring understanding of where we were at (emotionally and physically) was so wonderful. And he was right- the Muslim noodle place (a simple noodle shop owned by Muslim Chinese) was my favorite restaurant of the trip! I think we ate there 3 or 4 times that week, haha. All week, we continued to meet adoptive family after adoptive family- and literally everyone was so incredibly nice. It was neat to hear their stories and relate. I was so encouraged by them and because of that this was my favorite week in the journey. One of the first things we noticed when we walked into the hotel was THE staircase. The one we'd collectively seen in our agency's posts of families who had completed their adoptions. They were seated on a red staircase, smiling. I'd never known where that staircase existed, haha- but there it was, in all it's glory, and WE WERE GOING TO SIT ON IT AND TAKE A PICTURE, because we had DONE THIS THING! This was our travel group- some of the best people I am so thankful we know and call friends! I also have to mention the breakfast. Ya'll- it was included in our stay every morning- and it was the nicest breakfast buffet I've ever seen! They were used to accommodating families with kids, so they had plenty of high chairs and delicious food and espresso. 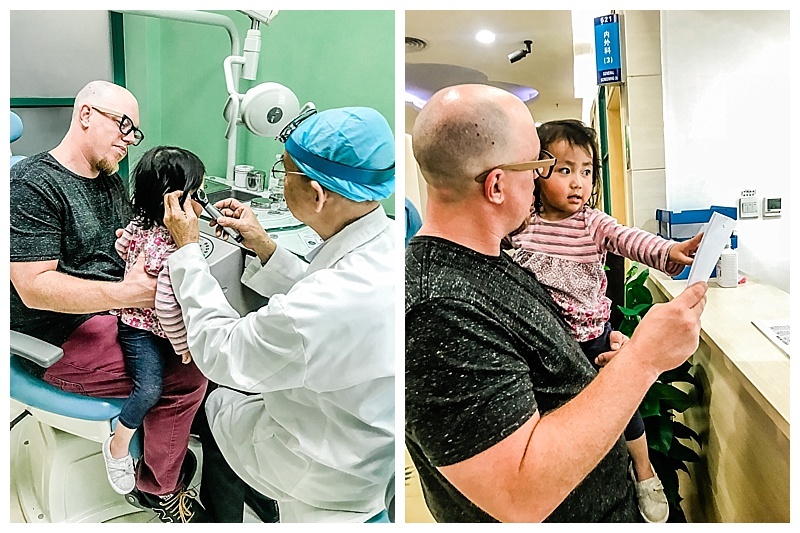 One of the first appointments we had in Guangzhou was Lucy's medical appointment. All children being adopted are required to have a medical exam before leaving, and so my parents kept the big kids while we took Lucy. She did great, except when they had to draw blood for a TB test. She cried for a bit but was ok pretty quickly- that was one of the first times I realized that we had one tough little girl. One evening we got to take a River Cruise down the Pearl River. It was beautiful to see the city lit up at night. Our guide had ordered pizza for us to take and eat on the boat, and there must have been a little bit lost in translation- because our chicken pizza was MOVING! Haha- check out the video below. We found out later that those are actually dried fish flakes reacting to the heat. My mom ate some and liked it, but everyone else was too chicken. Or fish....get it?!? 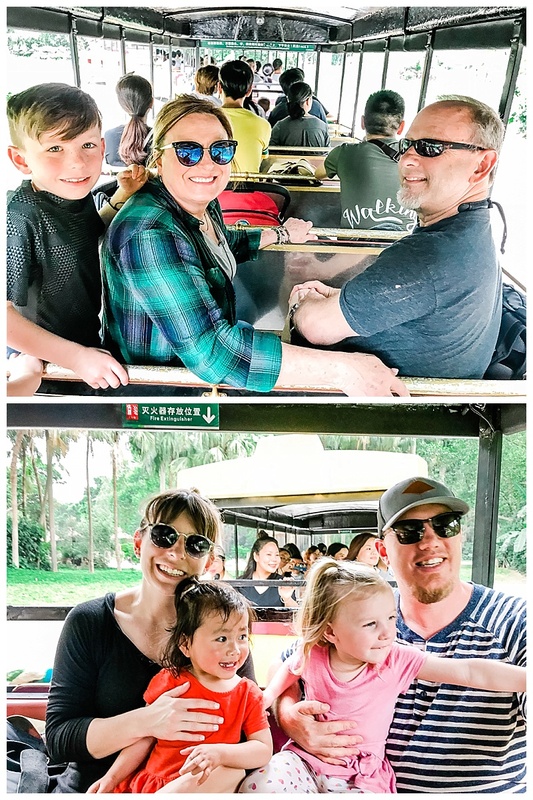 The next day was possibly the most fun of the trip- we visited the Chimelong Safari Park and it was amazing! They had so many animals to see and even though it rained on us we all really enjoyed it. We were so excited to see PANDAS! We also got to visit the Chen Family Temple, which is beautiful and ornate. I purchased some keepsakes for Lucy here- a Chinese knot we will use as an ornament that has a monkey painted on it (her birth year was the year of the monkey), and a stone carved stamp with her English and Chinese name. Our guide also took us to the pearl market, which was a neat experience. I got to pick out pearls and have them made into bracelets and earrings for the girls- they made them right in front of us! Knox said he'd prefer something else :). He has been the sweetest big brother! Bath time at the hotel! Another photo I was hell-bent on having. :) We love the Kickee Pants brand and when I found out they had a panda print I knew I had to get some pjs to take to China. We also spent a lot of time just hanging out around the hotel and exploring the neighborhood nearby. We walked through this alley at dusk one night and I knew I just had to go back to photograph it- because it perfectly encapsulated China- all the hustle and bustle, colors and smells. I want Lucy to remember these things, so I photographed them as best I could. Yep, this is how you buy your meat. No refrigeration needed. We also got to go to Shamian Island- a part of Guangzhou that was once under British rule and has some beautiful buildings and landscaping. And also Starbucks, which we were excited about. Knox's souvenir from the Safari Park was a lemur tail, so he wore it everywhere after that, haha. Also super thankful we brought our stroller to carry all our bags! We are forever bonded with these couples from our travel group. Not only do our children share histories, but now we do, too! Another photo I was insistent on! This sculpture on Shamian Island is visited by most of the adoptive families that come to China and it was a rite of passage for me! I could cry seeing my THREE right there! Lots and lots of walking- lots and lots of transportation. Helped justify all those noodles we were eating! After our appointment at the U.S. Consulate, we decided to go swimming at the hotel pool. I'm pretty sure it was Lucy's first time in the water, and she was pretty nervous at first, but then calmed down and started enjoying it when she saw Knox and Liv doing so. We also ventured out to a local park which was just down the street from the hotel. It was beautiful and I couldn't get over the unique flowers we were seeing. Finally, we had Lucy's passport, visa, and clearance to go home! The night before our flight, we took a train to Hong Kong. It was a little crazy carrying 7 people and alllllll our baggage, but we did it! Lots of toys and snacks were handy on the train! The next day we arrived at the ticket counter several hours before our flight, ready to check in. It was at that moment we realized that somehow we had lost Shawn's passport. And I mean LOST. It was not in any of our baggage. It wasn't in the hotel room we'd checked out of. Shawn was running through the airport retracing steps and calling the hotel concierge. Ya'll- this is when I ALMOST had a full out panic attack. I'm so glad my mom was there to calm me and help with the kids. Shawn's name was on every adoption document and Lucy wasn't officially a U.S. citizen until we went through customs in the U.S. I was PANICKING. My dad remembered that we'd changed money the night before and went to that counter to see if they'd found a passport- and THANK YOU JESUS- they had it! Major crisis averted. The grace of God on our family. This photo is Shawn's face getting back in the check-in line- whew! The flight home was long but uneventful. We were able to fly straight into Dallas which was wonderful. One more short flight to Lubbock and we were HOME! Our friends at home had done such a wonderful job taking care of us when we weren't even there. Our dogs and home were fed and clean, fresh groceries and freezer meals were in the fridge- they even fixed my car battery when it wouldn't start up after a few weeks off! We were greeted by some of them at the airport, and it was so sweet. My sweet sister circled the DFW airport for 2.5 hours just to meet us in line for a few minutes. It was so great to see her face! I still can't believe we actually went and came home with a new daughter. Our time in China was hard, wonderful, and precious. If you've tuned in this whole time, thank you for reading- and please feel free to comment with your questions- I love sharing our experiences and have been so encouraged by others who have gone before us, so I want to do the same. I plan on continuing to post on other aspects of our adoption- like our packing list- very soon! Check out Part 1 and Part 2 here. Gotcha day was on a Monday, and we spent the next several days in Lucy's city- Guiyang City in Guizhou Province. Guiyang City is in southern China and is known for its spicy food- perfect for these Texans! We had several appointments and paperwork to be done, but there was a lot of down time, which was wonderful as we had a new family member to get to know. Our hotel (the Howard Johnson, which is apparently a 5-star chain in China- who knew?!) was very nice but if you've ever entertained kids in a hotel room you know you'll have to get out of there at least a few times a day! So, we ventured out- to a nearby park that is home to hundreds of slightly-too-friendly monkeys (read: possibly aggressive), a local Buddhist temple (beautiful!) and the BEST (and super cheap!) street food. We even found the local mall and Starbucks! Random side note: if you watch my stories on Instagram you know I researched the best kind of instant coffee and packed myself a little coffee survival kit with it, powdered creamer and coconut palm sugar. It was one of the best, most comforting things and I'm so glad I had it! Here is the link to the coffee. Our first excursion was to the monkey park. I need to take a minute and describe China's parks first, though. Here in Lubbock, trees are scarce. Our "parks" are literally lots of grass with maybe 10 trees and hopefully some playground equipment. You come, you wish you'd brought sunscreen, you play for a bit, and then you go home. China's parks, however, are all-out communities. They are acres and acres of land- beautifully landscaped and featuring places of worship, restaurants, boats, shops, community centers and animals. We could have easily spent all day in there. This park was just a short walk from our hotel and our guide wisely escorted us to the gondola which took us to the highest point in the city- where we could get a fabulous view. On our way down, we got to walk through a Buddhist temple where people were burning incense and witness the hundreds of monkeys literally swinging from the trees above us. It was one of our kids' favorite things! After the park, we got to eat hot pot which was easily one of our favorites. They brought out fresh fish and boiled it in a spicy broth right at our table. It was delicious! On the left is Lucy's friend Liam, who was adopted by one of the families in our travel group. We know that they shared time in the orphanage together and they seem to have a very special bond. We are so thankful for this connection! The next day we ventured out to the local mall which was next to a large man-made lake. There was a playground for the kids, musicians playing, and Starbucks! As we walked around the lake we couldn't help but be in awe of this huge mansion that overlooked it all- and were told that it was the home of the mall developer. It was the largest home I have ever seen- check out the last photo in this series. One of the most special things we had the chance to do in Guiyang City is to find the hospital where Lucy was "found". Lucy was born prematurely and had multiple issues because of that, so her records state that she was "found" at this particular hospital. We do not know anything about her parents, nor do we know if she was actually born at the hospital or was taken there after birth. And we may never- though there are professionals who will search for birth parents if and when Lucy wants to try to find them. In China, you must pay for your medical procedures at the time of service, and if you are unable to pay, you are unable to be treated. So, it is possible that Lucy's biological parents knew they had a sick baby and could not pay for her treatment. We are thankful she was left in a safe place where she could receive the treatment she needed. I'm sure the people standing outside of the hospital were wondering what in the world we were doing! Getting used to each other. Thankful we had ipads and plenty of time for sleepy mornings! That's it for now! Part 4 will be coming up as quick as I can type! We arrived in Lucy's city the night before we would meet her, which was great and gave us a chance to get settled in at our new hotel. The next day, we were told to be ready by 1:30 p.m. Every minute before 1:30 was just plain full of anxiety for me. I wasn’t myself- could hardly eat and my parenting was definitely lacking. I’m so thankful my parents were here and that Shawn is generally chill in every situation. Poor Knox had not been feeling well the day before and really took a turn for the worse that morning- turning white as a sheet as we waited to head to the Civil Affairs office. I am SO thankful we had my parents in that situation- they dutifully took care of our sweet boy the whole time so that we could focus. A quick note on the term "Gotcha Day": I realize that some families choose not to use this term because it could seem offensive or insensitive- as if a person is something that can be owned or purchased. I totally get that, and am so NOT ok with those insinuations. However, for simplicity's sake our family has chosen to use the term "gotcha day" just to reference this very special day in which Lucy officially became part of our family and was adopted. Our purpose in using this term is only to pinpoint the much-anticipated day where we got to hold Lucy for the first time. We don't intend to hurt or offend and respect those who choose not to use this term. About 1:00 pm, they let us know that we actually didn’t need to go until 2. Ugh. So, finally, 2:00 rolled around and we all piled into the van. Knox was losing color in his face and only wanted to sleep. Poor guy- we didn’t have any choice but to drag him along. There was such a tension among all of the families in our group- though we all tried to laugh and say positive things, but the unknown was at the forefront of our thoughts. We weren't sure who would be there- foster parents, orphanage directors, random civil affairs workers- we had been told it varies. And what would happen? Crying? Likely. It was like preparing for intentional heartbreak, knowing it was the right thing. In those moments, we had to lean on Jesus, and trust that He had brought us to that place, and He knew best. Just before we went up the elevator to meet Lucy. Check out my I'm-about-to-puke-I'm-so-nervous smile. I don't know why I even tried! Ha! Once we arrived, we had to take an elevator up to the correct floor of the huge office building. We'd had grand plans of how we would capture this moment of meeting, and even had my dad prepped with the camera- but got pushed onto separate elevators and so our videos are pretty haphazard- which is really more how it all felt, anyway. Once we stepped off the elevator, we were immediately directed into the Civil Affairs office, which I recognized from some photos from other families, and as we walked in, I saw the silhouette of a little girl with pigtails being held by a woman who looked a lot like Lucy’s foster mother. Lucy had been in foster care most of her life- and we had been told that her foster parents may or may not be there on gotcha day. I was excited at the chance to meet and talk with such a special lady. Sure enough, the woman recognized us- and we recognized Lucy. It all happened extremely fast. All three families along with their adoptive children and foster parents were lead into a separate room. For us, there were no tears shed in those minutes— not Lucy, Shawn, nor me. Lucy’s foster mother was smiling and talking up a storm to me- I wish I knew what she was telling me about! She pointed to me and said, “mama”. She pointed to Shawn and said, “baba”. Eventually I got to hold Lucy- just for a bit- and then she wanted her foster mother back. We did this routine a few times until finally Lucy let me hold her for a while. Lucy's foster mother- God bless this sweet woman! It was clear to me that Lucy’s foster mother was not new to this gig at all- and I really believe she contributed so much to the good experience we’ve had in these first few weeks with Lucy. She smiled and talked so positively about our daughter- answered our questions as best she could (we had some time with her and the translator to ask questions). When we asked if there was anything she wanted to tell us, she told us that Lucy is a very good girl- not spoiled, and happy with company. I saw her wipe away a few tears as she bounced Lucy and made her smile. She handed me some yogurt, a bottle, some formula and a few diapers, and before Lucy could realize it, she was gone. I didn’t get to say all of the profound things I’d planned on- but I didn’t need to. I think she knew what all my “thank you”s meant. Knox and Liv were so sweet and had a bag of toys ready to go! Lucy fell asleep soon after this and so I was able to put her in the Tula carrier and watch some of the paperwork that Shawn was now involved in completing. There was a lot of signing and thumbprinting. The other sweet babies that were being adopted that day cried in the background and their mommas fought very hard to comfort them. I was so shocked that we hadn’t yet had any crying on our side that I wasn’t sure what to do- so I ended up praying for the other families during that time and I’m so glad I was able to. It honestly calmed me down just to be reminded where our help and strength comes from! Finally and all of a sudden (yes, that’s how it felt- both long and fast at the same time)- we were told to come sit together in front of a red background for a photo. Knox was still feeling awful but was able to join us all for a quick photo. We went over some more details with our agency’s representative and then, it was time to go! Always more paperwork to be done! It was completely surreal to walk out of that building with a beautiful little girl who I’d stared at in photos for months, but didn’t actually know. She woke up and was melancholy. Her eyes stared blankly at anything but me. She didn’t cry. She just absorbed. Such a brave little soul. Our photo for her official adoption documents. Lucy was basically still asleep during this photo, haha! Shawn and I walked down the street with our guide and the other parents and kids just after our meeting to take some passport photos. She just stared at us so solemnly. I will never forget that surreal feeling- standing there in the urban jungle of Lucy's city- soaking in the sounds and the realization that we have THREE kids! Sweet Knox- he was such a trooper this whole day, even though he felt awful. Liv, of course, could NOT get enough of her new sister. Once we were back to the hotel (we took a trip to Walmart right after we received Lucy to get a few necessities for her), Lucy perked up and played for a while with Liv. Their giggles were (and still are) such a beautiful thing to hear. Going to bed that night was quite a long and hard process, but Lucy eventually snuggled up to Shawn and it has been better and better every night since. Looking back on it now, I will remember Gotcha Day as a long, hard, beautiful day- and a reminder that God is so, so good to us. I was so thankful that we could carry His peace with us- knowing that even if we couldn't comfort Lucy, He could. He was our reassurance to take the next step and trust Him in every unknown. Even Knox who felt terrible was sustained and healed in the days to come. He SO had our backs. No detail was new or a surprise to Him, and that gave me immense peace on one of the most stressful days of my life- not to mention my new daughter's. Again- He is so, so good. More of our journey to come! We've been home just a few days from our trip to China to receive Lucy and bring her home. I had hoped to blog while in China, but it was too difficult to get reliable internet service- plus I was just plain exhausted at the end of every day. I remember realizing at about day 10 that I hadn't actually had any introspective thoughts that I could recall for the majority of the trip- which is so unlike my normal rhythm. I was just in pure survival mode most of the time. So, I journaled my thoughts as much as I could while we were there and promised to blog later- in hopes that I might have a more well-rounded perspective looking back. Our adoption trip took place in 3 cities- Beijing, Guiyang City (Lucy's birthplace), and Guangzhou. This is our first adoption, but believe that most adoption trips follow a similar format. - Only 1 trip is required, and from the time we met Lucy, she stayed with us. - We didn't know our travel dates until about 2 weeks before we left (which was a little stressful seeing as we are approaching our busiest work season with weddings). 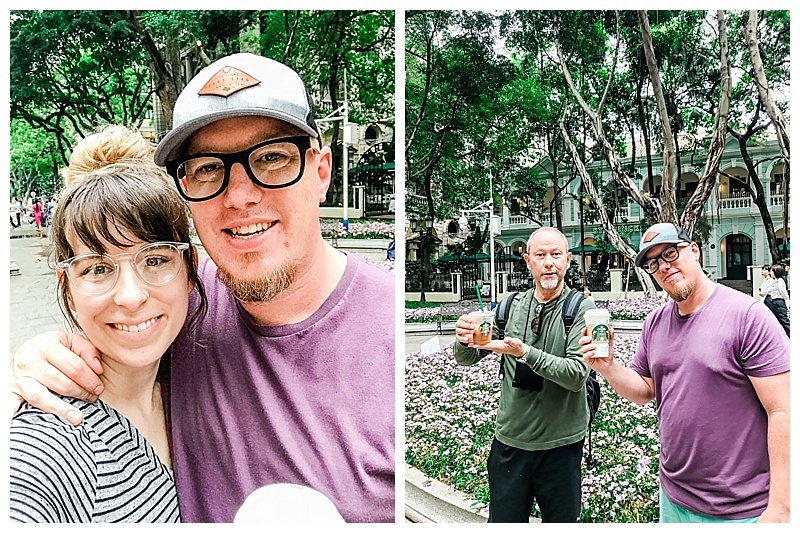 Our dates hinged upon our appointment date with the U.S. Consulate in Guangzhou, which would issue Lucy's visa to come to the U.S. Once we got our appointment, we were able to set travel dates and book our flights. - Speaking of flights, it's complicated. We had 6 total in our party going, 7 coming back, with no round trips and restrictions on which countries we could have layovers in coming home due to immigration laws. 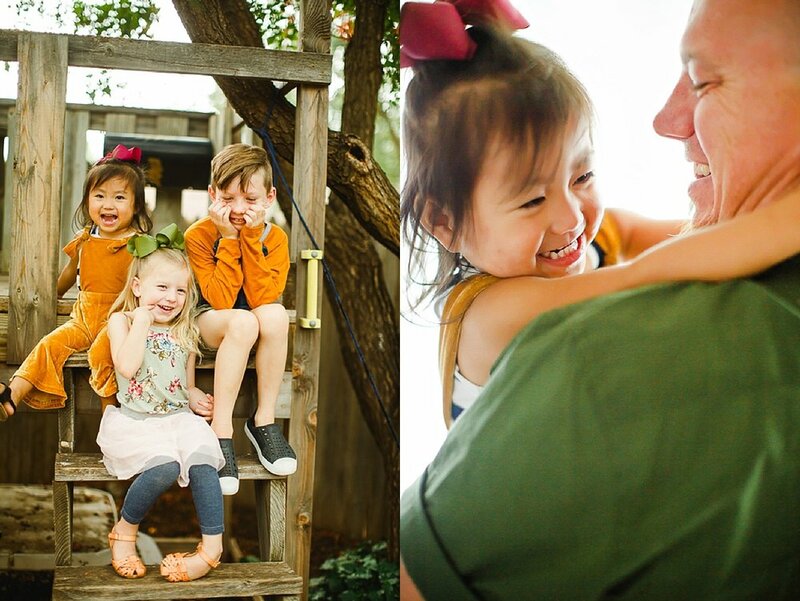 We consider ourselves pretty travel savvy and have booked many a flight in our time, but when we literally had hours to book flights to China for 7 people, we reached out to adoptionairfare.com and they were AMAZING. They were able to get us better flight schedules and humanitarian rates lower than we'd seen anywhere online- and they were extremely fast. After we contacted them, we had flights booked in about 5 hours. I would highly recommend them! The upper left photo was our last meal in Lubbock as a family of four. We had an early flight out of Lubbock on a Thursday morning. I'd literally been packing for two weeks and was a ball of nerves- worried that somehow we'd miss our flight or forget something essential. Our courteous friend Brandon picked up Shawn, Knox, Liv and I in a borrowed 15 passenger van (nothing else would fit all our luggage!) at 5:30 a.m. and then we headed over to pick up my parents. The flight over went really well- we had plenty of fun toys packed for the kids in their backpacks and plenty of movies and games on the 13 hour flight to Beijing. China is 13 hours ahead of Texas, so it is literally like doing a 180 when you travel to China. To help with the jetlag, we gave the kids melatonin for the first few days which helped get them to sleep at the right time. One of the best parts about the trip is that we had to plan little to nothing- our agency did it all for us. This is really not my usual approach to any trip or vacation, but there are so many appointments and unfamiliar territories that it was extremely helpful. We were given an itinerary the week before we left. 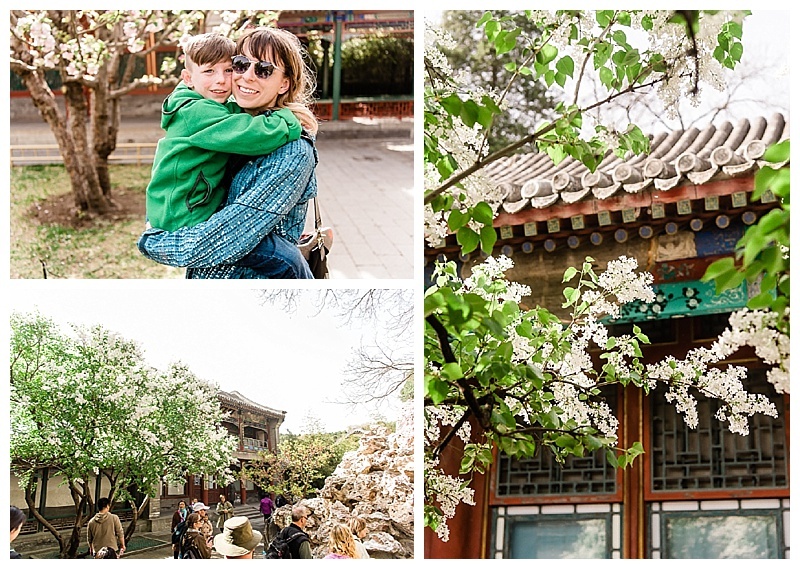 The first two days in Beijing were meant to get over jetlag before meeting Lucy and experience some Chinese culture. I couldn't wait to watch my family experience China! Dinner our first night in Beijing! You could see right into the kitchen at the restaurant we went to and watch them make your dumplings. Delicious! Our agency plans travel in groups, which I thought was a little unusual until we got there. In the end, I was so thankful for these two other families- a husband and wife with their 8 year old daughter from Maine, and another couple from Nebraska with 3 other children who stayed home. They were all so extremely nice and low-key- journeying with us the entire trip. The very best part about group travel is having someone to talk to face-to-face who is going through the same experience with you. You already know what each other has been through just to get to this point, so I already had a lot of respect for them from the beginning- not to mention after 2 emotional, draining weeks. After eating breakfast at the hotel (which was quite decent and had great espresso! ), we boarded our bus for Tiananmen Square and the Forbidden City (where the emperor used to live). I had seen Tiananmen before, but never been inside to the Forbidden City. It was a good bit of culture shock- the sheer amount of people and crowds were astounding. We had many stares (it’s not rude to stare in China)- especially Liv with her blonde hair- and people asking to take photos with her. She handled this okay- though I’m not sure anyone got a smile out of her, haha! If you know my dad, you won't be surprised that he made some friends himself :). It was really neat to see how huge the Forbidden City is and amazing to imagine it when the emperor lived and ruled from there. Everything is incredibly ornate and expansive. We probably walked 3 miles that morning before heading to lunch. After lunch we visited the Summer Palace, which was a much less formal environment- still huge and ornate- but more gardens and trees- and it sits on a lake which makes for a beautiful view. The second day, we needed to pack up all of our things again (not the easiest feat with 6 people!) and be ready to go by 8:30 am. So, so thankful for that espresso in the lobby restaurant! We headed to the Great Wall. It was a gorgeous day- no clouds and 70 degrees. I have been to the Great Wall a couple of times before but never this section. It was SO incredibly steep! I had Liv strapped to my back in the carrier (here's a similar one) and I am so glad we had that- the thought of her running free on those uneven, crowded steps makes my anxiety level rise even now. At some portions of the wall, the steps were a foot tall and so steep all you could see was the next steps in front of you. I was so impressed with my parents who climbed up further than we did! By the time we descended, our legs were complete jello but we could at least say we’d done it. Knox was so excited to wear his school tshirt on the Great Wall and send them a photo. That afternoon we walked the National Stadium area where the 2008 Olympics were held. The structures there were amazing and they also had some cool sculptures. Then, it was time to get to the airport to board our flight to Lucy's city. I was so thankful we had our AWAA guide with us to help us with our domestic flight. We were a large group and had been given very vague details on baggage requirements from the airline- so there was some chaos and moving things around from bag to bag. Before leaving, our guide, Summer, gave us some special shirts she had designed for our kids with their Chinese names on it. I think we all cried before we turned to enter security. 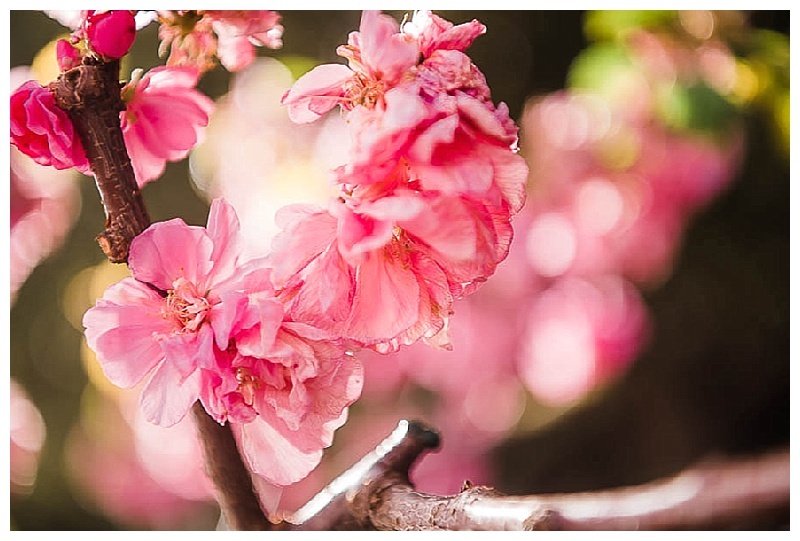 The sakura blooms were all over and so beautiful! Security for this flight was no joke. Maybe it’s because we were totally exhausted from all the activity the two days before or just emotional at the weight of what was about to come- but I felt a little violated after getting out of that line, haha! I had been patted down, asked about every piece of carry-on luggage I had, and they ran my backpack through the scanner 4 times! Ugh. We saw McDonald’s on the way to our gate and shoved french fries in our faces to cope as Chinese men and women just stared. Who even knows what they were thinking about all those Americans with their McDonald’s! I just didn’t care at that point. Our seats were at the very back of the plane, and it was a late flight with a rough landing and mystery food. The kids slept the whole time, which was great. Once we arrived, though, things got better. Liv was enamored with the city lights at night. By this time next week, she'll be in my arms. The weight of that new responsibility, the peace because we're finally done waiting, and the thrill of a new, beautiful soul joining our little family hits me so hard. Guys- we're leaving in 3 days. I should be asleep, but I'm not. The caffeine is working and I'm knocking out the rest of the work to be done before we leave. Though it's not evident lately on my blog, I'm still a professional photographer who has actual photoshoots and clients. :) I've had the privilege of photographing some crazy beautiful people and moments lately but all my photo-blogging time has been taken up by paperwork, or noses that need wiping. Perhaps I am already getting on China time? It's just a stark, painful, orange-juice-mixed-with-toothpaste 13 hour difference. Yikes. Our agency sent these cards for us to keep on hand should we want to explain ourselves to a curious onlooker and not have a translator. So simply stated but perfect. But we will be just fine. It's high time I answer a few questions about our travel, seeing as it's only 3 sleeps away. 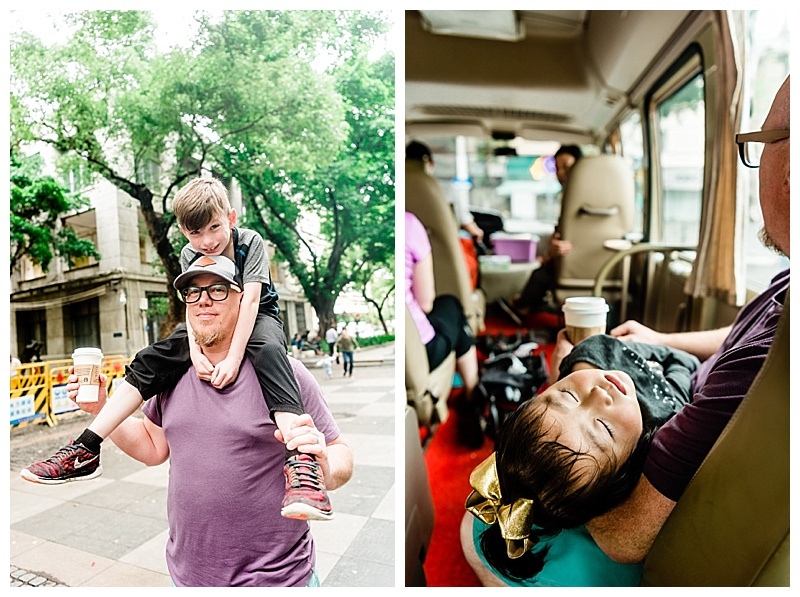 The travel portion of an international adoption trip is fast and furious- filled with delicate details that needn't be missed. 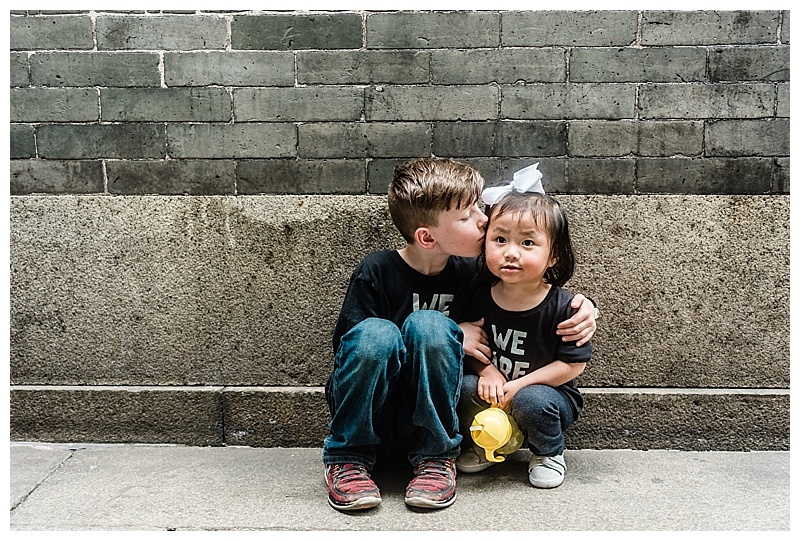 Last Monday, we were granted Travel Approval by the Chinese government, which means we are now allowed to enter China for the purpose of adopting a child and bringing her home with us. We found out about this around 10 am...and the agency needed our flight itinerary by 4 pm. Hah! We fancied ourselves worthy of booking our own flights (we've done trips to China and other countries in the past)- but once we realized all it would take (6 people going to one city, 7 leaving from another, layover restrictions, visa processing time, time difference)- we gladly reached out to Adoption Airfare. They had flights ready to book for us in about 1 hour- cheaper than any we'd seen in all our googling, and with only 1 short layover. DONE! Highly recommend them. We are bringing Knox and Liv, as well as my parents to help out. It will be quite a crew, but we felt so strongly about bringing our children with us, and we are really glad to have the support of my parents, so that we can focus on Lucy as much as we can. To us, it's just like the birth of a new sibling- and there is no better education than travel. Knox and Liv have backpacks full of little activities for the plane ride, and mommy has melatonin in her carry-on. :) Seriously though, that is my plan- once it's "bed time" in China, we'll be going to sleep on the plane. And I really believe that the kids will be just fine. Call me crazy. Or naive. Maybe both. Our trip will be almost two weeks exactly, and we will receive Lucy permanently three days after we land. Our agency schedules trips with a few days to get over jetlag, which I am thankful for. During that time we will get to do a little sightseeing. I have been to all of the places we will be going- so I am excitedly anticipating seeing all of my people experience them for the first time! Once we receive Lucy, the rest of our trip will be filled with various appointments- one to finalize the adoption, one medical assessment, one for her visa (and maybe a few more?! I'll check the itinerary again...). On our days off we will get to bond and explore. I can't wait! Lucy will receive her American visa right before we leave China, and will officially be a citizen once our wheels touch American soil. Packing has been quite an adventure so far. I feel I'm doing pretty well, but I haven't packed my things yet- so that may be my undoing. :) The great news is, I really only have to pack enough clothing for half the trip- the laundry services there are excellent and inexpensive, from what I hear. My greatest packing find has been a Lululemon Vinyasa scarf I found on eBay- sure to be my forever travel companion from this point on. I also splurged on this $15 wonder which looks sort of like a neck brace, because I guess...that's what it is. Don't worry, kids- Shawn will be spotted with this lovely contraption...just to embarrass you further. 'Cause mommies and daddies NEED their SLEEP. For at least the past week, my mind has been bouncing between complete circumstantial presence (see paragraph above) and the deep realization of all that's actually happening. It's like I'm sitting on a dock, applying my sunscreen and adjusting my hat, while the deep blue water pulses up and down- reminding me why that dock is even there in the first place. It's that steady stream of purpose, of all the undeniable ways God's taken care of us in this process- that make me so thankful to be here. And to soon be all the way across the world! I'm going to do my very best to share our trip here- and likely more so on Instagram- so go follow me there if you haven't already! And I'm sure I've forgotten some details- feel free to ask any questions about the travel process in the comments and I will do my best to answer them! A couple of months ago, I asked my Facebook friends what they wanted to know about our adoption. Their questions were genuine and curious and I was happy to answer most all of them, because I truly believe that sharing our story will not only help educate people on international adoption but communicate the value and worth of these children who, by none of their own doing, have found themselves without a family. Most were easy answers about processes and travel procedures...but there was one question I did not want to face. "What are you most afraid of?" At the time, we had just received our referral (had been matched with a child). I was so confident (and just plain excited that we finally had a darling face to look at)- I could have responded, "I'm not afraid of anything. I know God will work it out." But in the 8ish weeks since- and in the interest of full disclosure- I've slowly sunken into a deep sea of fear, anxiety, and worry. And if I'm being honest, I'm scared shitless. I don't say that term to be funny- I'm saying it because it is the complete and literal truth. I have actually had intestinal issues due to my stress level in the past several weeks, which I'm sure you wanted to know. I've also developed this reoccurring eye twitch, which is the most annoying physical ailment I've ever had. It's like a tiny stress meter that sits just under my right eye, pulsating at the presence of every anxious thought. Which, if you're me right now, is about every 3 to 4 minutes. I've had moments where I just burst into tears. Moments where I become filled with anger and even vengeful (ugh, so embarrassing). I've melted into depressive states and ignored my husband and children for the perceived safety and darkness of my bed. Some of this is stuff that's normal-ish for me to experience on a monthly basis (if you know what I mean)- but what I want you to hear is that lately, it's been much worse. I don't say these things to gain sympathy- if I'm being real, my pride doesn't want you to feel sorry for me. I'm sharing this, though, because it's therapeutic for me to write- and if by chance there is anyone reading this who wants to know what the "not fun" parts of this adoption journey look like, now you know. I'm afraid I'll have an emotional breakdown (or two or ten) during our trip to China. I'm afraid that our new daughter will hate or resent me for taking her away from everything she knows. I'm afraid that my child's special need will be more than I can handle. I'm afraid that I won't be able to do three kids. I'm afraid that my bio kids will have a difficult time adjusting or feel ignored. I'm afraid that we will find out our child has additional special needs once she is home. I'm afraid that I won't know how to respond to people's comments. I'm afraid that I won't get any sleep. I'm afraid that it will put stress on our marriage we won't be able to bear. I'm afraid my child will not bond with me. I'm afraid that we won't have enough in our bank account to travel. I'm afraid that I will be completely debilitated and overwhelmed with anxiety. I'm afraid that I'll lose friendships, business, or sanity because any amount of free time I have is about to be obliterated. I'm afraid that people will see our long, messy story and choose not to adopt. Some of these things will actually happen, and we will figure it out when they do. Some of these will not. Much of this is completely out of my control, which only makes my anxiety amp up that much more. Most of the attacks I've experienced lately (which I do believe are spiritual warfare) have been specifically targeted at my abilities as a mother and my mental and emotional health. It's been tough to weed through the tall grasses of my mind to understand what is worth paying attention to, and what is just an attempt by the enemy on an already vulnerable space. Somehow, even though I've mothered two biological children, there is always that exception...I've never done this adoption thing before. Targeting the lies and replacing them with truth has been a very slow and ominous process- one that sometimes I simply don't have the energy to pursue. But it's the only way out, and it's worth my effort. God knows. Especially when I don't. He has prepared a way. Every minute, tear, and dollar has been worth it. He sees our girl. He's planned our future. My daughter- though I have not met her yet- has helped me understand the gospel of Christ better. Scripture says that He has overcome! Who can stop the Lord Almighty? Not money. Not time. Not anxiety. Not physical, emotional, or mental sickness. From the weakest and strangest place, I can tell you that this is a story of victory. Amidst all of the unknowns, I have a peace in my gut that says, "this is right". So yeah, I'm totally scared. But I'm also incredibly excited. I can't wait to meet her. To love on her. To tell her she belongs. There's nothing about me that's "handling" it right now and I'm expecting breakdowns (on my part for sure, plus at least a few from my counterparts). Dear reader, I need you to see that there is nothing extra brave or special about what we are doing- except the God that has orchestrated it all. However, I can tell you that we'll be stepping onto a plane in a few short weeks, and doing the thing we've wanted to do for 5 years now. I don't know what it's going to look like necessarily, and that's killing me. I'm hoping I'll find some relief when we are actually GOING. But until then, it will be a day-to-day battle- replacing lies with the truth of scripture. Saying out loud the things that threaten to take away my peace and repenting from my unbelief. Hoping in Christ and practicing thankfulness. John 9:3 (one of my favorite stories in the Bible)- "Neither this man nor his parents sinned," said Jesus, "but this happened so that the works of God might be displayed in him. John 16:33- I have told you all this so that you may have peace in me. Here on earth you will have many trials and sorrows. But take heart, because I have overcome the world. Deut. 31:8- The LORD himself goes before you and will be with you; he will never leave you nor forsake you. Do not be afraid; do not be discouraged. Psalm 68:6- God places the lonely in families; he sets the prisoners free and gives them joy. Psalm 119:133- Direct my footsteps according to your word; let no sin rule over me. Psalm 118:14- The LORD is my strength and my song; he has given me victory. Naming a kid is a big deal in our home. With both Knox and Liv, we were able to decide relatively quickly in the pregnancy what their names would be. In both cases, we searched for good family names and I did a LOT of researching the meanings of different names. I truly believe that names have influence on who a person becomes, and so choosing a name for your child is an important honor. Truett means "faithful" and Knox means "hill". Knox is my father's middle name, and because my Dad had all daughters and two sisters, we were the last Rustens (my maiden name) of our generation, so it was important for us to carry on that legacy in some way. I do also believe that in the way that people use hills as reference points in a landscape, that our son will be a leader and a reference point for others. 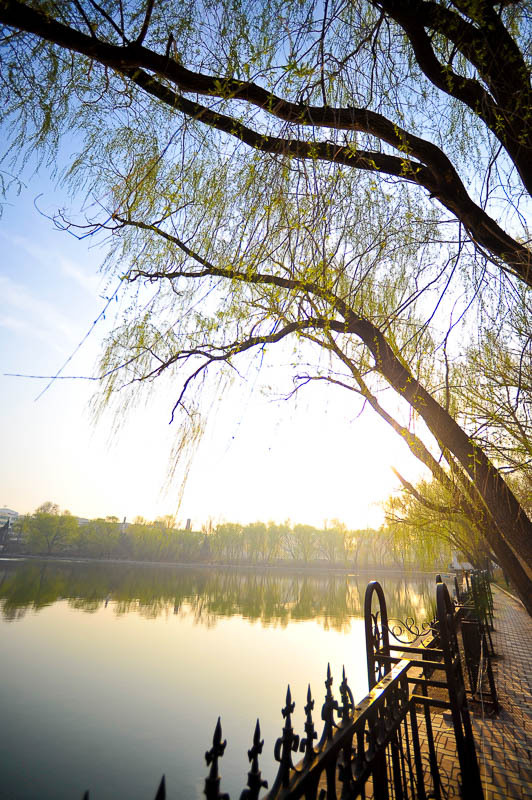 China has the most beautiful parks in the middle of bustling cities. I shot this image at a neighborhood park early one morning on one of my past trips- I can't wait for my family to see things like this! Liv means "life" which was significant to us because she came after a rough season in which I had several miscarriages. We were (and are) so thankful for her LIFE. Caroline, her middle name, means "joyful song", which fits her personality perfectly. My middle name is also Carrol (as is my mother and her mother's), and so this was how we chose to keep that going. So, when it came to naming our third, I was just as particular about the name meanings, but even more so- because I wanted to make sure whatever name(s) we chose had both a great meaning in English AND Mandarin, and be easily pronounced by native English speakers and native Mandarin speakers. The reason this is so important to me is because if she ever wants to spend time in China, or research her heritage (we plan to do this with her), or learn to speak Mandarin- basically if she ever wants to dive in deeper to her Chinese heritage- I want her to feel that she belongs in both places...with a name that easily transitions. Side note: I know that a lot of transracially adopted children (children born of one race and adopted by another) grow up with a sense of duality- feeling that they belong to two different cultures at the same time. This has both its positive and negative effects, and are constantly learning all we can about how to facilitate those feelings. We are so excited to celebrate her Chinese heritage, though she will be a fully American citizen. There are lots of sensitive bridges to cross here, and we will go one at a time, as best we can- but with the understanding that no matter her birthplace, she can and will fully belong in our family, even with respect (and honor!) to the mother that birthed her, and the country where she began. 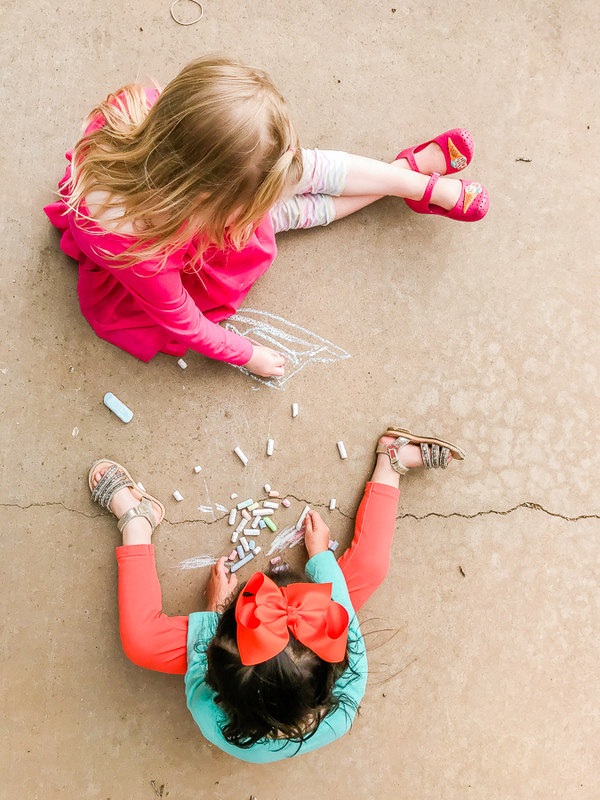 We were hesitant to even discuss names for most of our adoption journey because things could change. Looking back, I am so thankful that we did not pick a name at the very beginning. When we decided to withdraw from the Ethiopia program and apply for China, I actually had to mourn the loss of that beautiful brown-skinned girl I had been imagining. It took me several months to adjust to the new plan fully, and I know it would have been even more difficult had we had a name attached to that person we'd been imagining. It wasn't until a couple of months ago that Shawn and I started talking about it casually and then we just sort of knew. Lucy. Her name would be Lucy. 1) It is the nickname my father would call me growing up. We like our "L" names around here, apparently! My two sisters and I all have names that start with L and even the our female dog is named Lola. So, Lissa, Liv and Lucy will definitely keep our tongues tied. 2) Lucy in English means "bringer of light". As a photographer, I COULD NOT LOVE THIS MORE. Photographers are basically obsessed with light and all it represents- spiritually, I pray that this will means she is a woman of truth, hope and encouragement to those around her. 3) Lucy in Mandarin can be translated as Lù Xi (the x makes a "sh" sound). The "Lù" is translated as "road" or "journey", and Xi means "west". So, considering she will be making that very important journey from east to west soon, her new name will be a marker for her story. After doing the research on this, I had chills! Lucy also has a Chinese name that she was given, and we wanted to keep some part of it for her middle name. Fourtunately, her given middle name is Fei (sounds like "Faye"). It can be translated as "fly" or "winged", which I love, but we were told that her specific "fei" meaning was "flowers and plants flourish", which is equally as wonderful. So, Lucy Fei- our light bringer who will journey west and flourish. We can't wait to see how her names play out in her life. She has already shined light in our lives in so many ways. My prayer for her right now is that she would flourish. They were a lot more chill than I expected them to be- but also, they've been expecting to hop on a plane any day now for the past year- so it was just not that surprising to them, I guess! Also, did you catch Liv's response to me asking about Lucy's birthday? Haha- I love that girl!